With 20 years of expertise, Deborah Weinswig is a premier global retail analyst and an authority on the disruptive technologies, trends and innovations that are shaping the global retail landscape. Leveraging her background as the top Wall Street retail analyst for nearly a decade, Deborah serves as the Managing Director and Head of Fung Global Retail & Technology, the research arm and Think Tank of Hong Kong-based The Fung Group. In this role, she is responsible for building Fung Global Retail & Technology’s research capabilities and providing thought leadership on cutting-edge retail innovations, technologies, and solutions. Focusing on game-changing technologies such as wearables, The Internet of Things (IoT), 3D printing, cyber security, and predictive analytics, among others, Deborah examines the intersection of technology, fashion and retail to help companies drive growth in a rapidly changing environment. Deborah’s deep knowledge and understanding of global retail and emerging technology trends were fostered through her extensive banking career, which included 12 years as Head of the Global Staples & Consumer Discretionary Team at Citi Research, as well as senior research positions at Bear Stearns and Morgan Stanley. Throughout that time, Deborah was consistently ranked among the top analysts in her field by such prominent publications as Institutional Investor, where she was ranked #1 for nine years, StarMine and Business Insider, which named her as one of Wall Street’s top 36 analysts in 2012. Also in 2012, Deborah received the Researcher Award for Outstanding Service by the International Council of Shopping Centers (ICSC). With a passion for innovation and for cultivating the next generation of retail, Deborah has been instrumental in helping several U.S. technology startup companies develop and implement retail technology systems and strategies that have been adopted by top-tier, national retailers. She serves as a mentor to Silicon Valley-based Alchemist Accelerator, Plug & Play, and ERA (Entrepreneurs Roundtable Accelerator), is an advisor to Shoptalk, and also serves on the advisory boards of several early-stage companies in both the U.S. and Hong Kong. 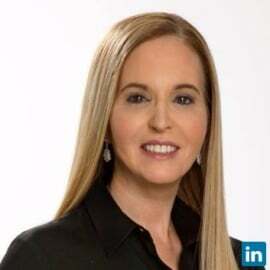 As a recognized industry expert and thought leader, Deborah’s global perspective and insight are often featured in national business publications including The Wall Street Journal, The New York Times and Barron's, as well as on CNBC. Deborah sits on the Boards of many philanthropic and industry organizations, such as Dignity U Wear, and was recently appointed to the advisory board of the World Retail Congress. She was one of the founding members of the Oracle Retail Strategy Council, is an executive board member of the Terry J. Lundgren Center for Retailing at the University of Arizona, and is an active member of the ICSC Research Task Force. New Zealand-based point-of-sale software company, Vend, has named her one of Retail’s Top 50 Influencers for 2016. Deborah is a Certified Public Accountant, and holds an MBA from the University of Chicago Booth School of Business.